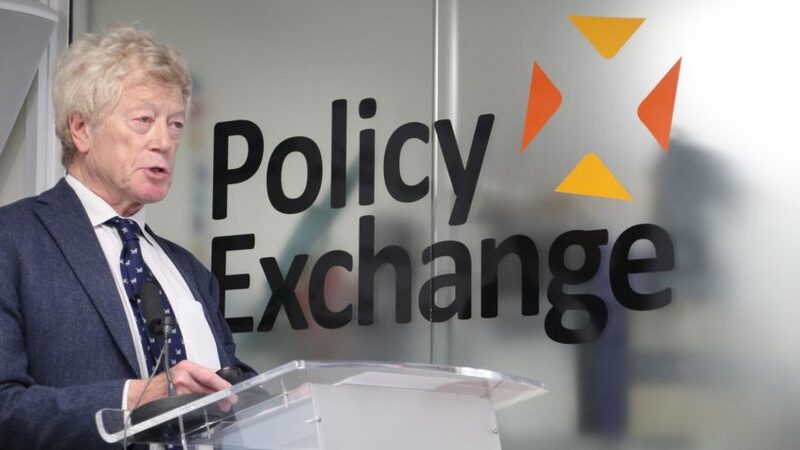 Chair of the UK government's Building Better Building Beautiful Commission Roger Scruton has been fired for calling Chinese people "robots" and claiming Islamaphobia was "invented by the Muslim Brotherhood". Scruton was dismissed as head of the housing commission following the comments. "Professor Sir Roger Scruton has been dismissed as chairman of the Building Better Building Beautiful Commission with immediate effect, following his unacceptable comments," said a spokesperson for the ministry of housing. Government advisor called Chinese people "replicas"
Talking about China's ascendancy as a global power the writer and philosopher, who received a knighthood in 2016, said the Chinese government was turning its people into "robots". "Each Chinese person is a kind of replica of the next one and that is a very frightening thing," Scruton said. He also reiterated his views on the antisemitic conspiracy theory that Jewish billionaire George Soros is running an empire in Hungary, which caused MPs to call for his dismissal when he was appointed last year. "Anybody who doesn’t think that there’s a Soros empire in Hungary has not observed the facts," he said. Scruton made the controversial comments in an interview published on the New Statesman website. His slurs also included claiming that islamophobia was "invented by the Muslim Brotherhood". Ben Derbyshire, president of the Royal Institute of British Architects (RIBA), branded Scruton's comments "completely unacceptable". "It was right for the government to dismiss him as chairman of the Building Better Building Beautiful Commission. At RIBA we also argue for better building quality, but our doubts about the impartiality of this commission were clearly justified," he said. "Time and effort have been wasted and we should now move on from stylistic obsessions to the issues that lie at the heart of solving the housing crisis. The government must focus on the real priority here: ensuring that all communities benefit from high quality homes and well-designed neighbourhoods." The Building Better Building Beautiful Commission was set up to encourage developers to consider aesthetics when building the thousands of new homes needed to combat the UK's current housing crisis. Speaking to Dezeen when he was appointed Scruton said he would protect the public from architects "imposing" their vision on the country. Scruton's appointment angered some architects, who accused the government of attempting to reignite the culture wars of the 1980s by appointing a chair who had expressed conservative views on the built environment. The government ignored calls to sack Scruton last year, and the ministry of housing released a statement calling him an "excellent candidate" for the role. Scruton made headlines yet again in January this year, when he told a panel discussion that the Grenfell Tower fire, which killed 72 people, wouldn't have happened if the social housing block "hadn't been so ugly to begin with". Speaking to the New Statesman, Scruton said the response to his appointment as chair had been "upsetting". "It's meant to undermine your authority, and authority is the only thing I have, authority that comes from hard work and thinking," he said. The Building Better Building Beautiful Commission is expected to carry on without Scruton. Speaking exclusively to Dezeen, housing minister Kit Malthouse called upon architects to "meet him halfway" and push for more beautiful housing developments.